Changing the battery in a smoke detector when you set your clock back isn’t enough. Protecting your home from fire now requires more than pushing the test button to hear the reassuring high-pitched squeal that it works. You need to know how it works. “The most important issue is what [smoke detectors] are made of,” says Jan Doherty, the Spokane Fire Department’s Public Information Officer. There are two types of smoke detectors: ionized and photoelectric. Because ionized units are cheaper, they tend to be more common, and as long as your fire burns hot and fast, they work fine. But if you happen to have a slow-burning or smoldering fire, according to new research, ionized detectors can take up to 20 minutes to go off. That’s a problem because the toxicity in smoke will kill you before the flames do. Photoelectric or “optical” smoke detectors are designed to be sensitive to the larger smoke particles emitted from slow-burning, smoldering fires. The Spokane Fire Department recommends installing at least one photoelectric detector on each level of your home as soon as possible. Having both types of smoke detectors is particularly important if you tend to become sidetracked in the kitchen. “The No. 1 cause of house fires is unattended cooking,” says Doherty. The National Fire Protection Agency attributes nearly 500 deaths and $800 million in damage to kitchen fires each year. A tip after my recent pan fire: Don’t panic. And by all means, don’t use water or flour to try and snuff it out. The already shooting flames will spark and explode. If you can, simply put a lid on a pan fire. Also, keep a fire extinguisher within easy reach in the kitchen. Although it is tempting to dry dishtowels on the oven door, they can pose a fire hazard, so keep the door clear and make sure the area around your stovetop is uncluttered. And if your cooking takes you outdoors, make sure the grill is not too close to the house. Be aware that computer batteries can overheat and cause fires, especially since they are often surrounded by paper and office supplies. Hewlett Packard recalled a lithium ion battery last spring because it overheated and ruptured. “I used to give candles as gifts before I worked for the fire department,” says Doherty. When candles are encased in glass, it may seem the flame is protected. But candles are easily tipped over by kids or pets. In addition, thousands of candles have been recalled within the past five years because of glass overheating and then cracking or breaking. 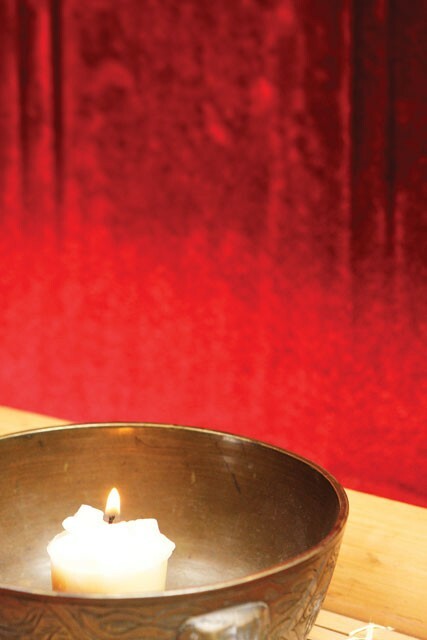 The National Fire Protection Association attributes a full 10 percent of house fires to candles. Of course, smoking cigarettes poses obvious hazards, too, but here’s a new one: Extinguishing cigarettes in the moist soil of houseplants can start fires. The organic material in potting soil can ignite. Make sure curling and flat irons have an auto-shutoff feature, and that they aren’t close to anything else on the counter.